Having read the book some years hence, I sought out the audio version of this valuable gem. This following information is my review of the book for your enjoyment. I hope it whets your appetite sufficiently to seek your own copy and enjoy Gladwell’s writing as much as I have. You can find the iTunes version of the book here. So, why should conflict management practitioners take on Gladwell’s glad-tidings? I’m a conflict resolution service provider. My unique skill and ability is for sale. Regrettably the craft of practitioners like me is undervalued by a market sector that believe when they get into conflict, the dispute belongs to the other party and seldom accept much personal responsibility in the cause nor the resolution of their dispute. “I’m not in dispute. I’m right and they are wrong”. I find most of my clientele have become so immersed in their dispute they can no longer see a way through. In their exhaustion, they simply transfer responsibility of resolution to a lawyer or worse still, rollover allowing the other party to exert more power than should normally be afforded to them. 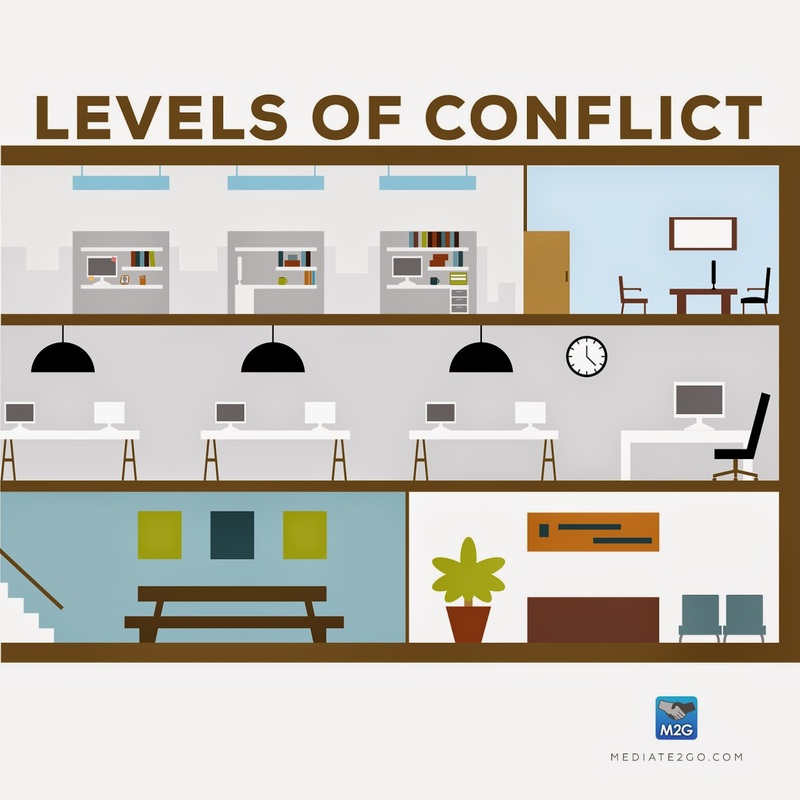 All of this can lead to destructive conflict escalation. I’ve been searching for an edge toward success in my conflict management practice. Something that I could use as a guide in the market place frequented by fickle and grumpy consumers who don’t yet know what they need, nor want. How can I help people overcome this conflict blindness? What marketing ideas will create a change in the way consumers deal with dispute? I see this book as a tool to reflect and find a solution to improve my conflict resolution practice. The Tipping Point described by Gladwell is the biography of an idea. For the communication of an idea (the message) to create change: the messenger must be a connector; the message must be in context and the message needs to stick, that is, personal, memorable, and practical. Simplistic, the change must be the easiest option. As conflict resolution practitioners, we can harness Gladwell’s vision to help guide a personal business approach to transform our practice and strengthen our industry with strategies designed to build capability across our client sector, communities, organization, etc. iii. There are three agents of change. iv. Word of mouth epidemics become extraordinary news. 3. The power of context – where the tipping point is reached owing to tinkering with even the smallest detail. The law of the few – who are they and what do they offer? The success of any social epidemic is heavily dependent on people with a particular set of skills. Change will occur more readily when these three specialist come together. Gladwell makes clear that these few do not exist in every team, community or organization. With this in mind we must remember that teams, communities and organizations must ensure these exceptional skills are present. For sole practitioners who beat a solitary drum and attempt to develop the entire skill set, an important lesson is to collaborate with key people to ensure the tipping point is reached and change assured. a. Connectors AKA people specialists. b. Mavens AKA information specialists. These folk are accumulators of knowledge. We rely on mavens as information brokers. They are the experts in their field and we pay them tremendous respect as our go-to people on specifics topics. Gladwell says that mavens’ are socially motivated and seldom demonstrate strength in persuasion. c. Persuaders AKA communication specialists. Tuned in to cultural micro-rhythms, persuaders demonstrate mastery of a specialized human trait where listening and intervention is as synchronous as a conductor of an orchestra. With perfect timing, they listen, interrupt and become interactional as if in tune with most everyone they meet. When Mavens and Connectors amongst us get together. Importantly, mavens demonstrate success when they collaborate with connectors who are innovators. Connector-innovators are trend setters. They often feel they are isolated – even outcasts. They are also pioneers who see a bigger picture. They are passionate and readily become engaged in various forms of activism. When mavens and connector-innovators get together a more coherent picture comes clear. The fresh broadened view ensures a more complete analysis is not influenced by those with an insular and biased outlook. Maybe this is why conflict management innovators (or any professional group or social enterprise) are more often engaged in change processes across their sector. They create change by incremental steps that might otherwise not seem connected. The resulting tipping point comes with radical and rapid change to the surprise of those around them whilst the pioneers go unrecognized. If this is you, (pat on back) then you will already be broadening the scope of your craft to provide consumers with flexibility, strengthening the action of your profession and changing culture. You will be making change the easy choice, as Gladwell suggests, redefining innovation as mainstream. 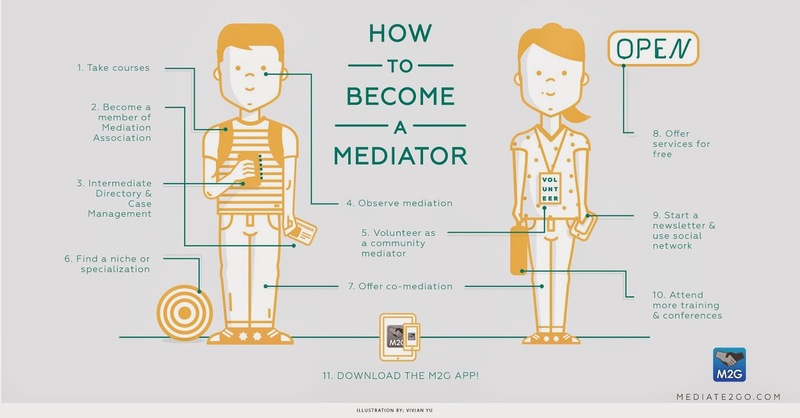 See the Mediate2Go blog on enhancing customer service in conflict resolution. “A book is a living and breathing document that grows richer with each new reading”. Malcolm Gladwell. i. Difficult and challenging change is best tackled by a close knit group. ii. An increasing significance of the social media culture means we must rely more on the power of word-of –mouth of our mavens, connectors and persuaders. He also says that since writing The Tipping Point he can add fresh insight. 1. Understanding the rise of isolation. 2. Beware the rise of immunity. Individuals these days seem to follow an internal cultural script where they are infected by the example of how others experience and react to conflict and dispute. The resulting contagious behaviour in the population requires a counter response toward the tipping point to conflict competence. Only then will we overcome our underlying anxieties that fuel unhealthy hysterical social behaviour. The power of word-of-mouth becomes more valuable as the message epidemic is prolonged. This is counter-intuitive to normal economics where scarcity drives an increase in value and wealth. Gladwell opines that increasing network size is self-limiting as we become immune to the share volume of messages directed at us about more things we have little interest in. The key to reducing immunity is to reach people face-to-face. This relies on us valuing those in our teams, communities and organizations we respect admire and trust. The cure for immunity is engaging with our mavens, connectors and persuaders. Gladwell calls it, “creating the maven trap”. Mavens prefer direct communication, face-to-face. Word-of-mouth messages will be carefully constructed to attract the maven group in each sector, community and organization. Gladwell suggests that finding and collaborating with a widened maven group will hasten the process toward the tipping point of change. What ideas and great works are you considering? Can you identify the mavens are around you? When will you formalize a strategy to bring together your connectors, mavens and persuaders? How to use Gladwell’s book to improve conflict resolution for both clients and mediators. My mission from now is to consider my colleagues in terms of Gladwell’s classification. 2. Make a plan on making contact with each individual and set about securing a face to face meeting with them. 3. Use the meeting to gather information about their values. Talk with them about what you are working on and introduce the Gladwell readings. 3. Without undermining the competitive nature of our practice, how can we work together to grow the size of the referrals pie? 4. Would you be willing to join a think tank / working party to discuss 1, 2 and 3 above? 6. What would it be like to work together? 7. Which environments are in most need of transformation? 8. What challenges will we face? 9. How will we overcome the challenges? 10. How will we know we are making a difference? Whilst our mediation colleagues are for in intents and purposes competitors for a fairly limited pie of referrals, by embracing Gladwell’s concepts we can work together to grow the size of the pie. By working together our client base can encompass a broadened foundation of communities, sectors and organizations that will benefit from embracing their own mavens, connectors and persuaders. They simply need our guidance to show them. For more information, please read Malcolm Gladwell’s book, The Tipping Point and reach me on Mediate2go via Secure Message here.